THIS WEEK’S TWO OTHER FEATURED BOOKS, “THE GREAT PENGUIN RESCUE,” BY DYAN deNAPOLI AND “A BETTER TRUTH,” BY VALERIE JOAN CONNORS, CAN BE FOUND BY SCROLLING DOWN BELOW THIS POST, OR BY CLICKING ON THE AUTHOR’S NAME ON OUR AUTHOR PAGE. 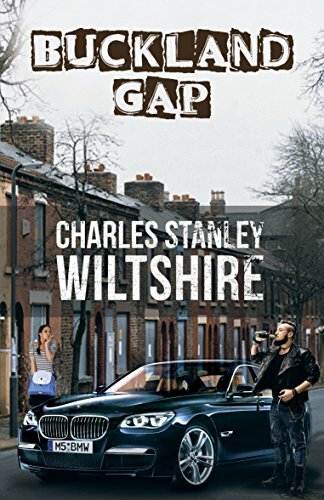 SUMMARY: With shades of Clockwork Orange and Trainspotting, new author Charlie Wiltshire gives an unflinching, and often times disturbing, account of life on one of England’s most difficult estates. From the details of ‘pulling gear’ to the politics of cancer, Buckland Gap asks if society can ever be saved. Even from itself. A can of lager, a cigarette and a well-placed scratch. Thus begins David’s day. Being a hard geezer on the Buckland estate ain’t easy, but David has the crown. He’s got the girls, sprogs, flash car and the meanest headbutt in Portsmouth. His days are filled with crime filled sprees to ensure his obese mother has her requisite fags, booze and curry. But even a thug like David has aspirations and his foray into drug-dealing is seen as a step-up. But through a serious of increasingly violent events, David’s kingdom erodes, unravels and culminates in an explosive finale. THE BACK STORY: The inspirations for this book are varied but the main ones are discussed here. The first inspiration came about after I was chased through the Buckland estate in Portsmouth by a group of thugs simply for the fact I was alone and middle aged. Luckily I was able to evade them but the apparent leader of this gang became the model of the main protagonist in the book. Much of the story background information has been gathered by listening to people in pubs and clubs, family conversations and sources such as Facebook. Gathering this information over a period of five years finally helped me formulate the final story line. The city streets can be violent places at times and I realised there was a story to be told about this. WHY THIS TITLE? The title reflects the style of life the protagonist and his family live in. WHY SOMEONE WOULD WANT TO READ IT: This book has an intended global audience which includes anyone who has an interest in just how violent the cities of England can be at times and how some of this violence comes about. While people such as the protagonist make up a very, very small proportion of the UK population, they do exist. I feel the general public (of all ages) will enjoy this publication, especially those who live in areas where they never meet people like the protagonist, I believe they will be fascinated and shocked to realise such people do exist. AUTHOR PROFILE: My name is Charles Wiltshire and I hail from Hampshire in England. My work experience is based around the IT industry but on my heart I have always wanted to be full time Author. I love creating stories and building fiction worlds. My other loves in life are cooking, running and motorbikes.